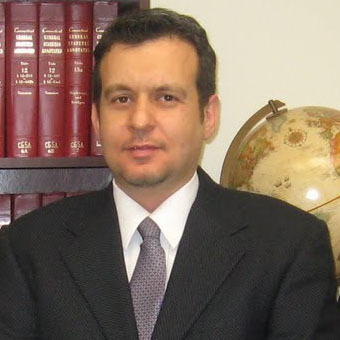 About - VAWA Law Expert - Fadi Kayyali, Inc.
Fadi Kayyali has dedicated his legal career exclusively to the practice of immigration law. For more than a decade, Mr. Kayyali has successfully obtained hundreds of immigrant and non-immigrant visa petitions. He is widely regarded as an expert in his field and has authored numerous articles regarding legal immigration. For more information about his practice, visit 2immigration.com. Mr. Kayyali was awarded his post graduate degree in Law (LL.M) from Case Western Reserve University in Cleveland, Ohio. He earned his Law degree at the University of Jordan. He began his legal career in 2003 at Jones Day Law Firm, one of the most highly regarded law firms in the United States. If you are a victim of domestic violence and married to an American citizen, you need legal representation that understands your position. Mr. Kayyali provides knowledgeable, experienced, tough representation combined with the compassion you need. This is why VAWA LAW provides a payment plan for one less worry. Turn to us to help assist you through this very difficult time. Mr. Kayyali is a recognized advocate for those wishing to receive L-1A visas, E-1 visas, E-2 visas, EB-5, H-1B, H-2B, B-1 and B-2 visas, I-140 petitions, I-485 petitions, VAWA (Violence Against Women Act) petitions, F-1 student visas, J-1 student exchange visas, I-601 waiver applications, asylum applications, K-1 and K-3 visas, EB-2 and EB-3 applications and NIW (National Interest Waiver) petitions. Mr. Kayyali is a member of the American Bar Association, New Jersey Bar Association and the Ohio Bar Association (as a foreign legal professional). He is not licensed to practice law in any civil or criminal matters but he can handle all your immigration paperwork with the United States Citizens Immigration Services (USCIS). Mr. Kayyali is also a civil rights activist (www.civicrights.org) and a member of several civil right organizations. Our legal professionals are certified members of the American Immigration Lawyers Association, (AILA). Mr. Kayyali is fluent in English and Arabic. VAWA LAW can provide assistance in Spanish and Russian. We have helped hundreds of people with their immigration needs. Turn to us for supportive, successful, legal expertise.